Mobile Internet is rapidly becoming a primary source of knowledge for rural populations in developing countries. 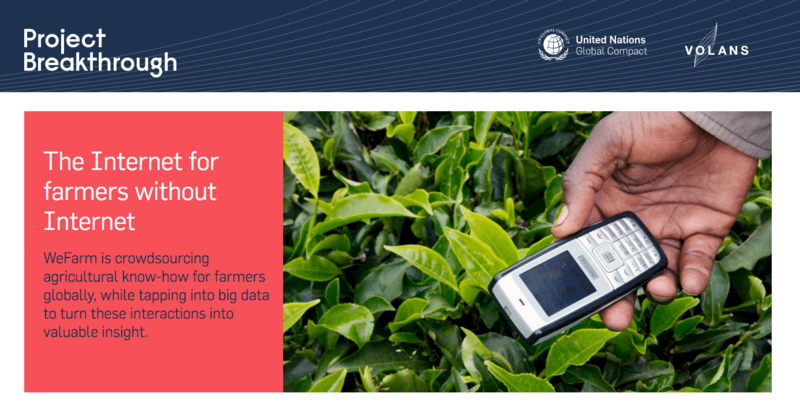 But not every one of the world’s 500 million smallholder farmers is connected to the Internet – which means they can struggle to solve daily agricultural challenges. With no way to access to information on things like planting, growing and selling, farmers in Asia, Latin America and Africa simply cannot grow. Many live on less than a dollar a day and don’t have smartphones to ask Google what to do. London-based startup WeFarm is the world’s first free peer-to-peer network that spreads crowdsourced knowledge via SMS messages, which only need simple mobile phones. 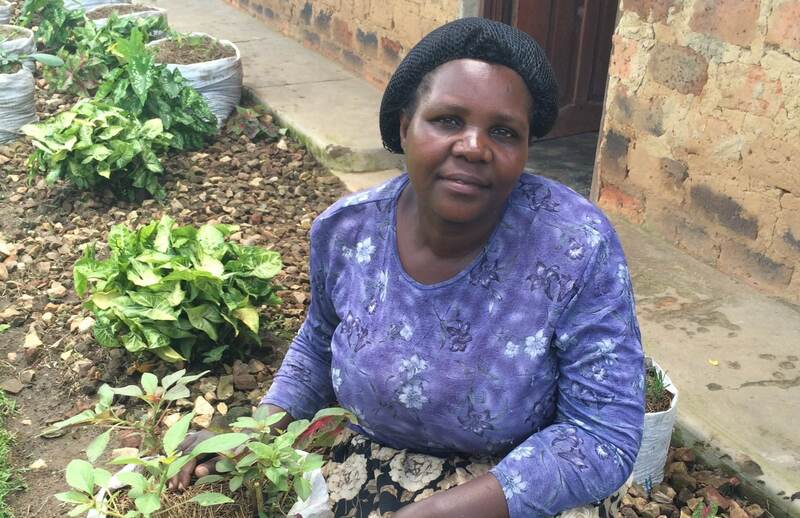 Since launching in November 2015, its aim has been to give remote, offline farmers access to the vital innovative insight, such as crop diversification, tackling soil erosion or changing climatic conditions. Billing itself as ‘The internet for people without the internet’, WeFarm strongly believes in the power of grassroots information. That’s why it costs nothing. Farmers send questions by SMS to a local WeFarm number. Then they are connected to a huge crowdsourcing platform. The network’s back-end uses machine-learning algorithms to match them to farmers with answers. This data creates a sort of Google for agriculture. The platform is open to anyone, including experts and those wishing to do business with farmers, and is available in four languages (English, French, Spanish and Swahili), with questions translated by volunteers and shared. This means a farmer 30 miles from the nearest village in Kenya could get a response from a rabbit farmer in Peru in minutes. WeFarm has already attracted more than 50,000 users in Kenya, Peru and Uganda, with more than 8 million pieces of information shared. As it is based on a totally open system with little intervention, Ewan is often asked how he can guarantee quality responses. There are some comedy moments as farmers ask for relationship tips, but these are kept to a minimum as experts are rated on their knowledge. Over time farmers are flagged as experts in certain fields. 75 percent of African users of WeFarm are reporting an improvement on their livelihood as a result of their information. In the next 12 months, WeFarm’s goal is to reach one million farmers and expand into more countries like Brazil, Colombia, Tanzania and India. They want to reach 100 million farmers. WeFarm’s long-term vision is to dig even deeper – to collect anecdotal information at such a scale that it creates game-changing geo-specific ‘big data’ for multinational businesses, governments, research groups and NGOs – who it charges to access this free conversations. These ‘WeFarm Insights’ are monthly or quarterly reports with detailed information making it possible for businesses to get to grips with the requirements of isolated suppliers. This delivers huge commercial value to the businesses who source from the farmers when it comes to making better decisions regarding their supply chain, improving training, allocating resources and commodities trading. Eventually the world’s biggest brands will alerted about – or able to forecast – shortages, disease outbreaks such as foot and mouth, or impending droughts. Interested in getting involved with WeFarm and what they are doing? Contact them here. This feature was created as a 'Breakthrough Brief' by Atlas of the Future for Project Breakthrough (United Nations Global Compact/ Volans). Tags: Agriculture, Awareness raising, Big data, Business, Communication, Community, Crowdsourcing, Culture, Data, Education, Employment, Environment, Farming, Hunger, Mentoring, Poverty.